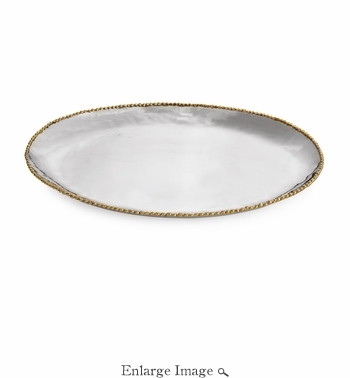 Michael Aram's iconic Molten collection is now reimagined as "Molten Gold". Classic, timeless shapes are finished with molten brass beads which are individually welded onto the pieces. Each bead captures the spontaneity of the making process. Molten Gold is sure to add a luxurious glow to any setting.